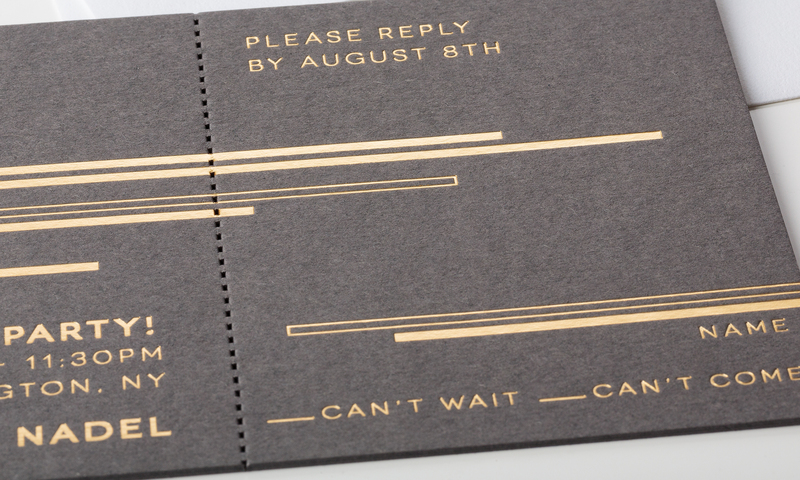 This bar mitzvah invite is an all-in-one piece with the perforated tear-away reply card. The gold foil shines beautifully on the dark gray board. 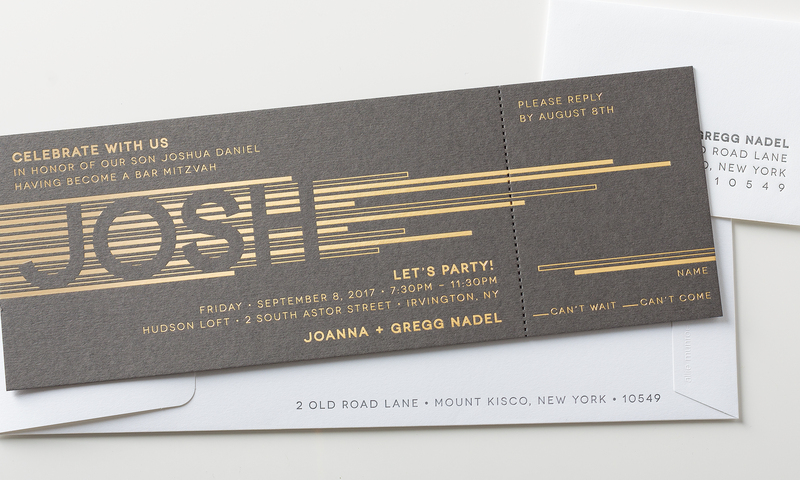 Perfect for either a bar mitzvah or bat bitzvah, this sophisticated invitation is completed with a matching envelope.